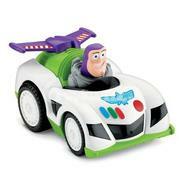 At Cadillac this year it's Buzz Johan... To Infinity and Beyond! In the Automotive News, we read that Caddy dealers should be prepared to sell fewer cars? Well, the hits just keep coming from the new guy. We hear of his horrible names going forward, continuation of disaster pricing strategies, the nonchalant attitude repeatedly offending current buyers... this story couldn't get much worse. Then again we are talking about the company that ruined Oldsmobile by alienating clients, destroyed Pontiac with G this and G that, and lost Hummer, Saab, and Saturn with failed marketing and terrible product planning. I wish I had a nickel for every promising hotshot GM had given the reigns to. So far my impression this time is that we'll be lucky if there still is a Cadillac in a couple years.